That didn't take long. 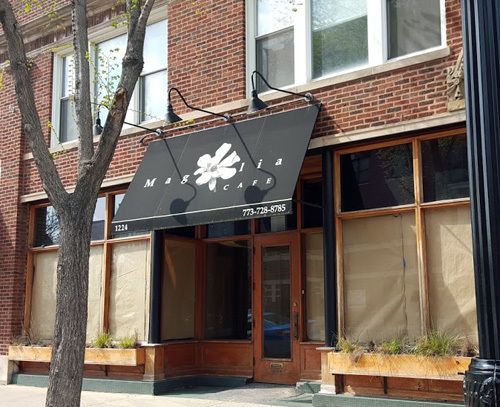 A reader let us know that the "restaurant space available" signs that went up in the windows last January at the former Magnolia Cafe space (1224 West Wilson) are now gone. There is butcher paper in the windows, indicating activity within. We don't know what's going in there, but are happy to see that a prime location on Wilson Avenue will once again be occupied. Do you know what's going in there? Please post in the comments. How great if this were to become a little neighborhood restaurant/bar open later, like Bar on Buena or Aberdeen Tap or all those other great, small neighborhood bars!? Looking forward to learning more!